Some Stuff! - "So what's your strategy?" Soooo... welcome to abitofadork7, who I am going to try very hard NOT to scar until at least a week has gone by! 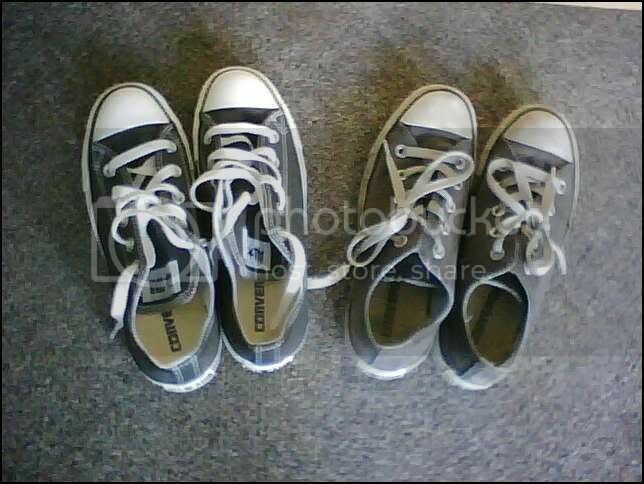 So... Today I finally had to retire my Converses. :( They were two and a half years old, and I'd shredded the backs of the heels (my other shoes are going, too XD), and they were starting to hurt my right foot pretty severely. I was going to stay I started Christmas shopping today, then I realized that wasn't true, 'cause I saw the thing I wanted for jenwryn weeks ago and bought it and have had it sitting on my desk at home since. XD Buuuut... I bought a gift for my step-dad today while I was at Walgreens, 'cause I've been ogling the thing thinking of him since I first saw it there weeks back. What do you buy for the man who has everything, you ask? 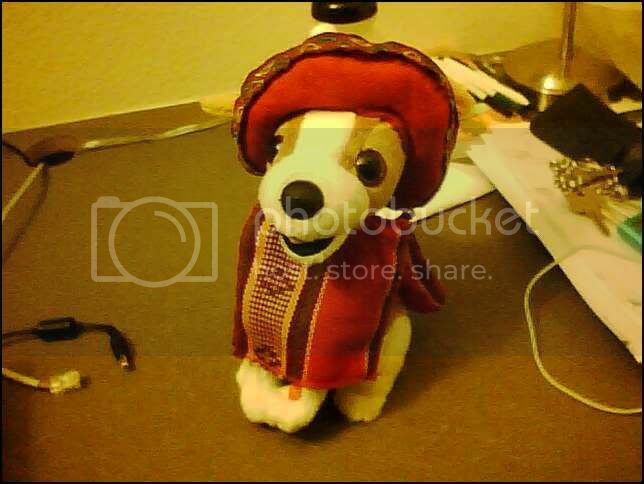 AN AUTOMATED CHIHUAHUA THAT SINGS "DONDE ESTA SANTA CLAUS," OF COURSE!! As easy as it is to buy for me, (books anyone? ), my sisters purchased a shirt last year for me: "I'll be nicer if you try being smarter." They still crack up over it. Seems that summarily fit me to a T! Oh, don't get rid of your "Chucks". Mine sit in a box downstairs along with my old Keds from 8th grade. Okay... that sounds creepy. They look like they have plenty of wear left in them :) If you must get rid of them, send them off to another life where they will be loved and appreciated. Gah! I rather think of them like the Velveteen Rabbit. Pathetically sentimental over shoes, evidently. Donde esta Santa Claus? El baño. The Cons need a fitting tribute, like being sent off to Valhalla on a fiery pyre. Ah, say what you'd like to. I'm pretty sure I can handle it. I'm used to insanity. It doesn't faze me nearly as much as it probably should. "That sounds amazing, and I'm really annoyed now that I can't hear it sing." Or something along those lines. Exactly! I mean, what else would you do with it? Not wrap it up and wait til Christmas. There's no fun in that. Annoying people is fun. I have to say that I'm particularly gifted at it, if I put my mind to it.